There is nothing wrong with sticking to your favorite service or favorite drink, but sometimes you’ve got to shake things up and try something you haven’t before. Who knows, it may end up being your NEW favorite! If you love massages, try a facial. Massages are fantastic. They help you feel relaxed, rejuvenated and hydrated. There’s nothing quite like the euphoric feeling you have after a massage and if you love massages as much as we do you’ll become obsessed with how amazing you feel after a facial. 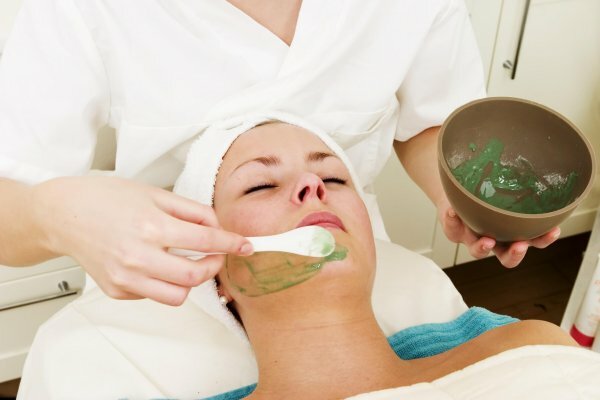 Facials are like a massage for your face, plus so much more. Our estheticians will analyze your skin type and use a combination of cleansers, masks, serums and moisturizers to bring out the beautiful natural glow in your skin. A scalp an neck massage are the cherry on an amazing cake. 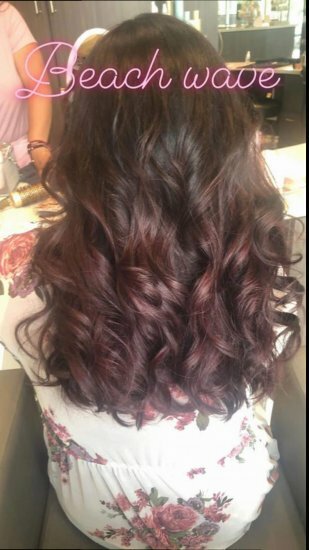 If you love blowouts, try a new style. It’s easy to pick the same blowout style each time. After all, you may think of it as your signature look. But it’s amazing what a new style can do for you and how it can make you feel. Go full-on bombshell on an ordinary day, jazz up straight hair with beachy waves, or have our stylists create the perfect big bun updo for a sleek, chic look. If you like shaped brows, try lash extensions. A fierce eyebrow is ideal for drawing attention to your beautiful eyes. To make them pop even more, we recommend eyelash extensions. 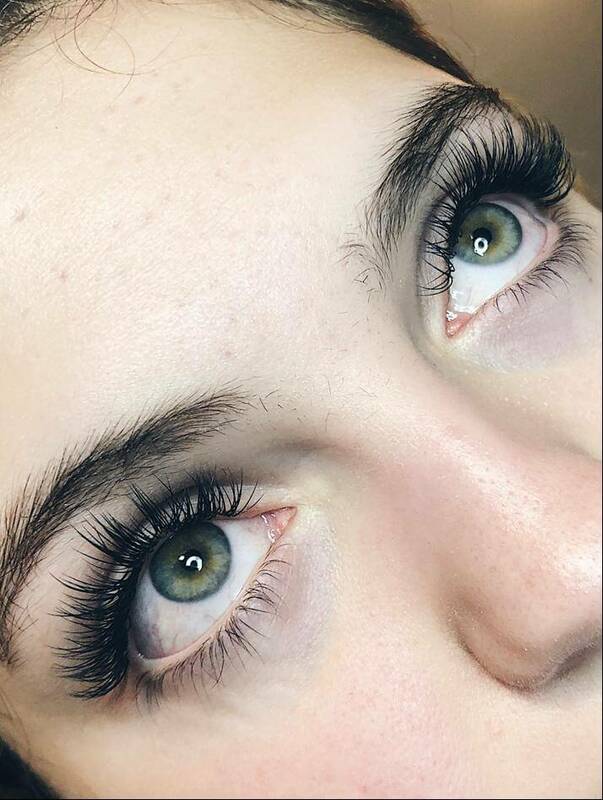 Safe and easy to care for, lash extensions add fullness and length to your natural lashes—so full and curled, you could even go mascara-free! If you like our drinks, try our latest creations. We like to change up our drink menu now and then. While a classic mimosa or glass of wine is always a great go-to, consider giving some of our new beverages a try. 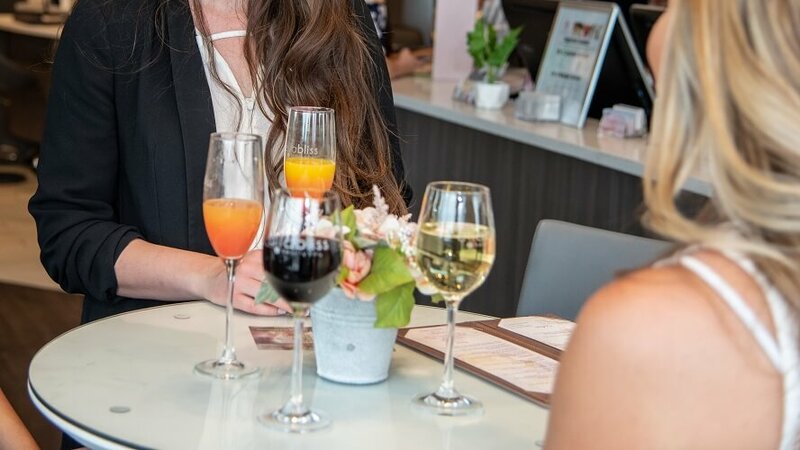 Bring some friends and try our tasty concoctions, from a bold red blend called Promisquous, to the Strawberry Unicorn (our take on a Moscow Mule), to our blushing Pink Mimosa. We’ve also introduced Bliss Buckets this year that are great when your here for a beauty bar party with your friends! Ready to start 2019 feeling brand new? Book your next Ella Bliss appointment and discover what your new bliss will be!